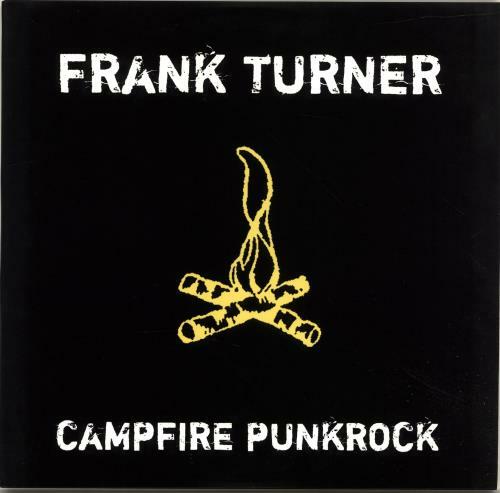 FRANK TURNER Campfire Punkrock (Rare 2008 US 7-track 10" vinyl EP, with picture sleeve, pressed on yellow vinyl and limited to just 700 copies. Originally released on CD only in 2005 through Xtra Mile, this US issue was the first time the debut EP from folk punk troubadour Frank Turner was released on vinyl. 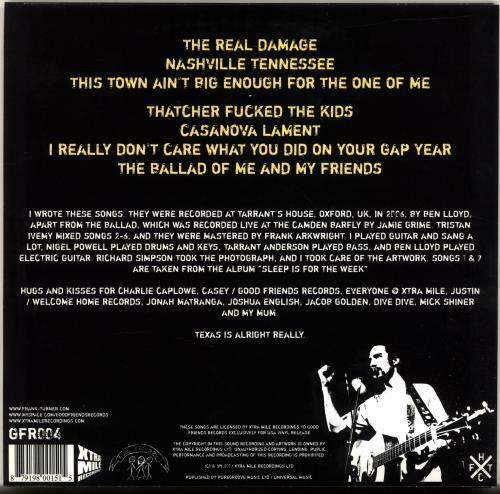 It includes beloved tracks such as The Real Damage, Casanova Lament, and The Ballad of Me and My Friends. The sleeve shows very minimal wear from storage, but the vinyl itself appears unplayed and in near 'as new' condition. Long out of print and a hard to find pressing these days GFR004).